Homemade Pork Buns! | I made that! Wow! They sound SO GOOD! Recently there was a recipe on The Bitten Word, that was similar to yours, but the buns were steamed. Since then I wanted to cook them. But I hadn’t the time until since. Yours are marked, too! 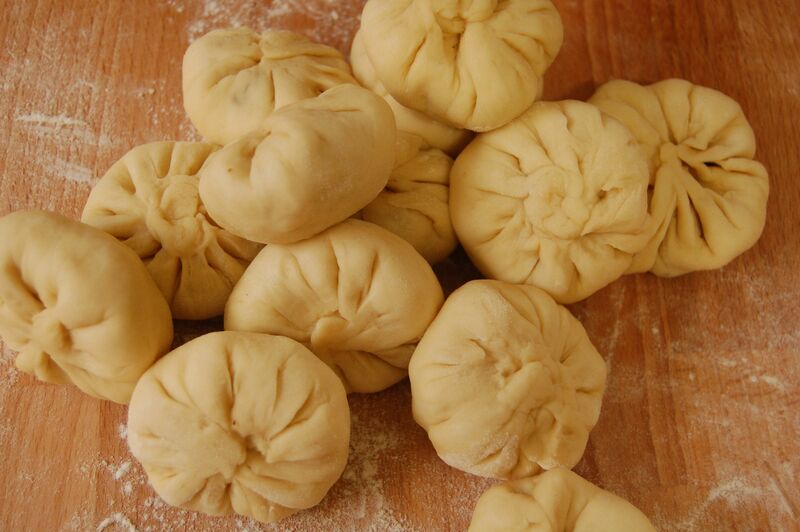 Mmmh, two chinese dumpling recipe waiting… how good is that?! oh my lord. seriously. must make. we’re doing a vegetarian weekend this weekend, but next weekend – this looks absolutely unbelievable!! If you didn’t already have me at pork, asian dumplings or buns, you reeled me in at cracktastic! Those look amazing! Oh my goodness. My mouth is absolutely watering. I do think I’ll have to give these a go. Thank you so much for sharing the recipe. Those look amazing. I want to eat one right now. Maybe two. Very impressive. Thanks for sharing! you continue to change my perceptions about pork. 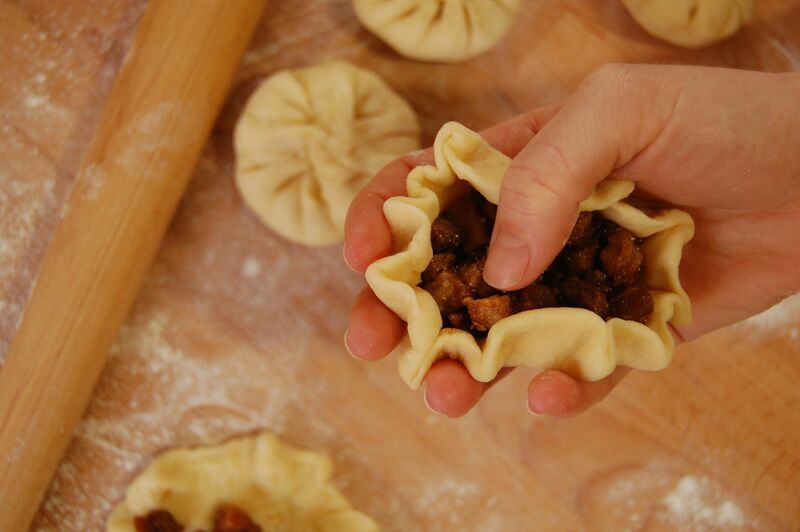 first carnitas, now pork buns… i know what i am doing next weekend. These look absolutely picture perfect, not to mention delicious! That looks like it would be yummy with tempeh. And maybe some veggies. I love pork buns, and these look amazing! Can’t wait to try them. Book stores are VERY dangerous aren’t they? Looks like your walk on the book buying side had obvious benefits. These look amazing. I can’t wait to try them. They’ve always seemed like something best left to the professionals, but you make it look accessible. I think I’ll have to give it a go. Poor little piggies. Even this vegetarian has to admit those look good. The rolled up dumplings are super cute. Great meeting you and your friends this weekend. See you Thursday. These look SO GOOD! My mouth is watering, I must make them immediately. Thanks for the recipe! This is an amazing blog you have by the way, I just spend the last 20 minutes browsing your old recipes. Very impressive! 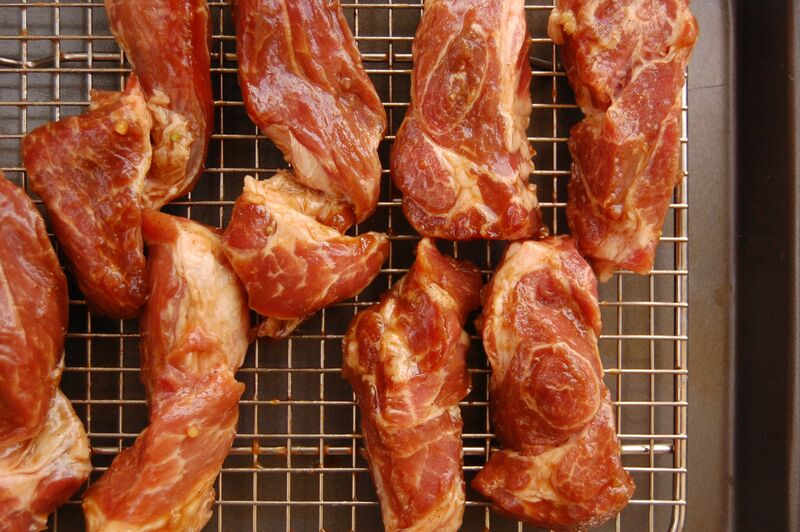 I could jump on the pork trail with these roasted nibbles. Geez! OMG brandi: beautiful & luscious recipe/photographs! i am going to re-create your little beauties with chicken! i love your verbiage as well. i am jealous that i do not live nearby…”the pantry” sounds fantastic…& those who are lucky to partake in cooking workshops…LUCKY!! wishing you all…all the BEST! These look really good, I do prefer the baked rather than the steamed buns I have had. These look and sound wonderful. I too try the vegetarian dream, reading “Eating Animals” and have several great vegetarian cook books, to no avail. 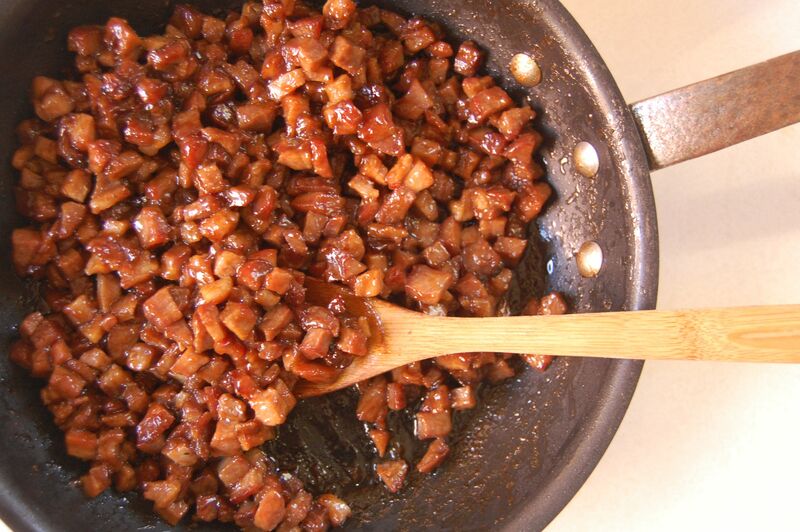 Bacon and pan roasted chicken always win. Bless you, the timing of this post! 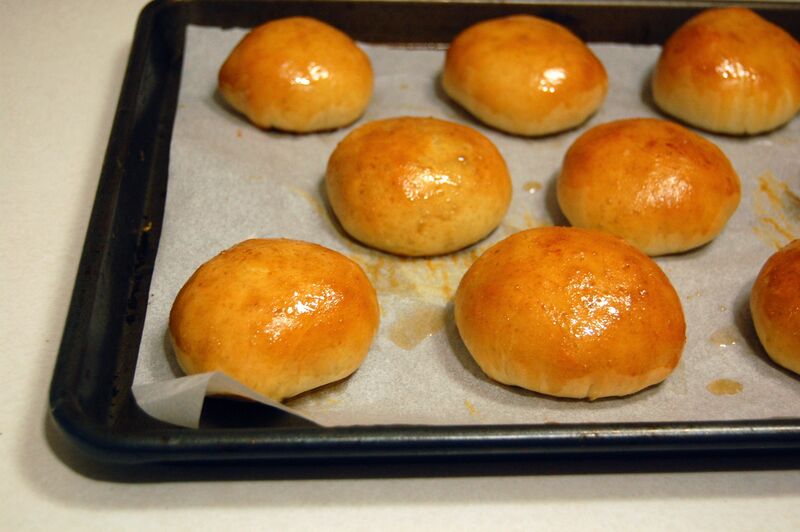 I’ve made steamed char siu bao a number of times, but never baked. My sister came into town this weekend and requested bao upon her arrival. Then I saw this post. 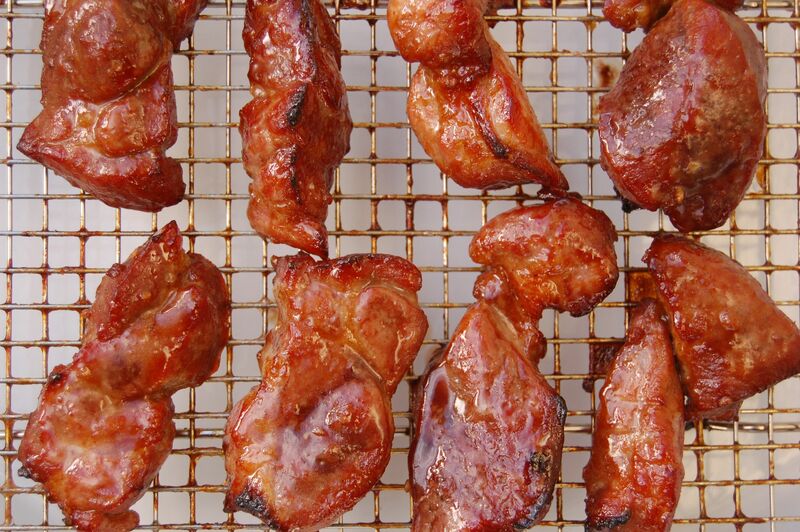 Seriously, I had made the char siu and was about to make the dough and sauce and I saw this post and did a 180 and decided to give this recipe a try instead. They sounded amazing, and they didn’t disappoint! I am a convert to the baked bao! The dough was really amazing. A really great texture. Thank you so much for sharing! Just discovered “I made that”, thru buying where woman cook, checking out “Orangette”, then getting to you. I love your presence, you’re recipes, your humour and your captive stories. I’ve read back to June 2010, (hopefully summer with arrive earlier this year) and I am looking forward to reading the rest of the past posts and the ones to come. Good luck to your wonderful place “The Pantry”. What a wonderful concept. I can’t wait to get my self out to Seattle (I live in B.C.) and experience both places, Delaney’s and The Pantry. wow, these look amazing! i feel compelled to make these, immediately, if not sooner. i found your blog linked on orangette, and i’m so happy to have stumbled across your site! both delancey and the pantry and delancey sound wonderful and exciting, and hopefully i’ll make it out to that side of the country one day to check them out. the oatmeal cream pies on your site look devilishly good, too! Perfect timing of this recipe, Brandi! My sister was coming into town and had requested that I make her pork bao. I usually make the steamed variety, and I had roasted the char siu. Then I saw your recipe and knew I needed to try it, and I’m so glad I did! 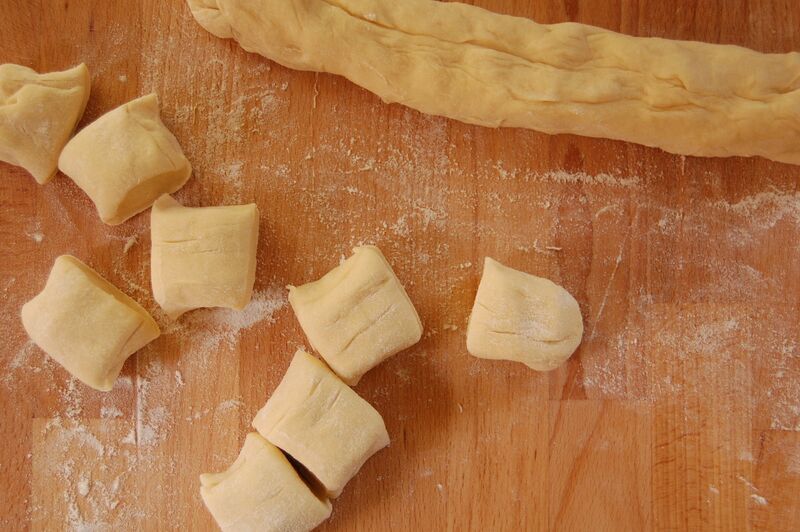 Your dough recipe was spot on. Easy to make, came together beautifully, and tasted just right. Good sweetness, soft texture, and so tasty. Thank you so much for posting it! I know have a new favorite bao recipe. This just absolutely blew my mind. I haven’t had much in the way of Chinese food since I quit gluten a couple of years ago, and DANG, this set off major pangs of jealousy. So – I’m going to convert this to gluten free. I’m sure my buns won’t be as pretty, but I bet I can come pretty close. Oh man these look ridiculously good! Let’s be friends. You feed my pork buns and I’ll share my Cadbury Creme Eggs. Deal?! God. I made this 2x in 4 days. 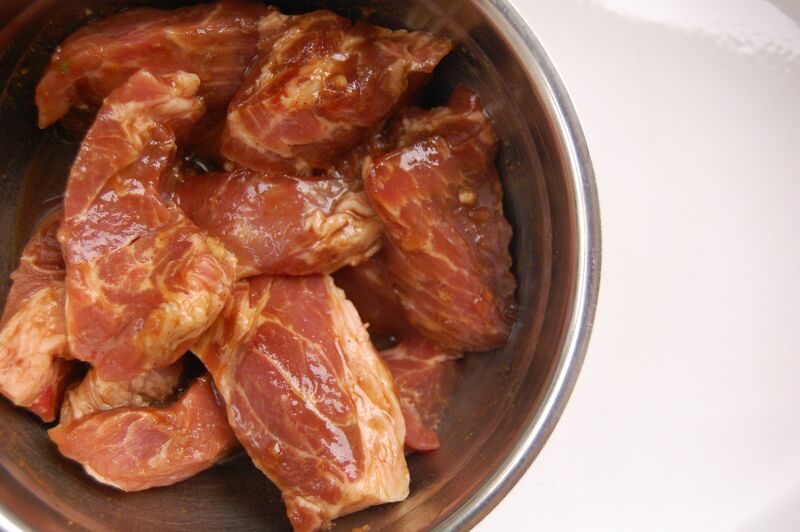 The first batch of char siu didnt make it to buns.. we ate it with brown rice.. The second batch I made today and they are delicious! I was a little heavy handed with the sugar so they’re a bit on the sweet side. But. DAMN! I used my go to dinner roll recipe from allrecipes.com (see:best dinner rolls) and it was perfect. Okok, I am going to try and make these for Easter this weekend! I am excited (and a little scared). One question, about how many buns (I am going to do mini-size) does one recipe make? Should I double for a group? If these are a success, Krispy Kreme doughnuts up next! Love the blog & Thanks!! Great site! I love making things like this at home. It is a little labor intensive, but its always worth it! I made them and it was a big success!! I ended up doubling the recipe and then over stuffed my buns so I ran out of pork. I used up the remaining dough to make buns with PB & J filling which actually worked. Next time I am going to try peanut butter and banana and honey inside! Nice buns!!! Glad you enjoyed the Asian Dumpling cookbook! I make something like this frequently. They are so delicious. I think the five spice powder is so wonderful. It has flavors that still taste somewhat exotic to me when used in savory dishes and I just enjoy it so much. OMG! These look RIDICULOUSLY amazing! Thanks for sharing! I love these little buns and try to grab some everytime I pass by Chinatown. THANK YOU !!! This is very common in our country but it is baked here, not steamed. I was sadly unable to find five spice powder 😦 I’ll be making this tomorrow night for supper/lunch the next day, hopefully it will still turn out well! making these now! that dough was great to work with. can’t wait to taste the finished product. These look amazing! I cannot wait to make them. I adore your blog! Keep up the great work! I like these right here! I have even tried them streamed! OMG OMG OMG OMG OMG, THANK YOU SO VERY MUCH!!!!!!!! I have been trying since I left NYC in 2006 to re-create those delicious bites of pork heaven that it seems only the Chinese in Chinatown can make. It seems all the Asian markets every where else in the world want to steam them, thanks but no thanks. And every time I try, after three days of work, they come up just short. Oh but not these, these are DEAD ON. I will never be without them again. You’re my new hero, (so is Andrea Nguyen). God bless your heart and all your other bits. Love the idea! Thank you for making them look so easy! hoping to follow step by step. Can’t wait to try this with my sisters. I’m making this today! So excited. Looking forward to how they turn out. These are amazing!! I made them last spring and will be working up another batch this weekend to bake off and freeze for a “2nd Giving” party that we are having for friends the Friday after Thanksgiving. Can’t wait – makes your kitchen smell so yummy!! So I’ve had this on my pinterest board for ages now and consistently go back and make them. I swear, I use this recipe about once a month and my step-sons LOVE them. Thank you so much for posting these!! I have made these a few times, now, though they are a treat because of how long they take to make 🙂 My husband adores them. He begs me for them and would exist purely on them if I made enough haha. I love them too, but he is crazy in love, I’m almost jealous lol Thanks for the recipe!